Electronic Frontier Foundation is petitioning to put abandoned video games in the public domain. Retro NES games. Not quite what the EFF is talking about, but a good shot of nostalgia. The Internet Archive recently started a project called the Internet Arcade that emulates more than 900 arcade games from the 1970s to 1990s so people can play them in their browsers. 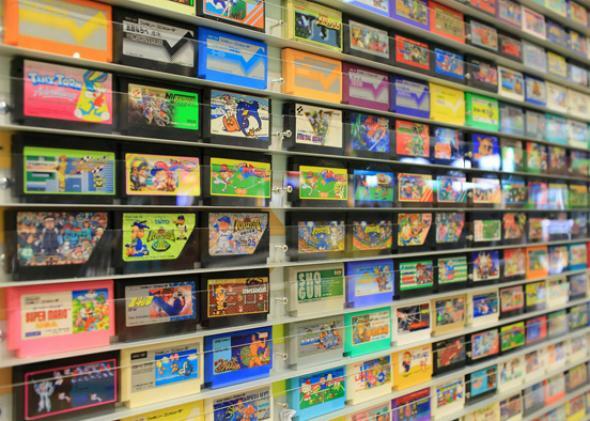 The idea of a video game archive may seem somewhat strange, but it’s gaining traction as the form ages. And now the Electronic Frontier Foundation is filing exemption requests with the U.S. Copyright Office to make it legal for people to modify old and abandoned video games so fans can keep playing them. Currently that practice is banned under Section 1201 of the Digital Millennium Copyright Act. One of the problems with old video games is that if their developers cease to support them, they may be unplayable because of safeguards like authentication checks with a server that no longer exists. While these measures would have previously protected the game from piracy, in its obsolescence they serve only to make it unplayable. EFF gives the examples of Civilization V and Mario Kart Wii as games that wouldn’t be playable if they didn’t have official “matchmaking” servers facilitating behind the scenes. If someone wanted to revive games like this under current regulations by creating a server workaround, it would be illegal. EFF notes, though, that it is not asking for exemptions for games like World of Warcraft, known as “persistent worlds,” where a majority of the game’s total content is stored on the developer’s servers instead of the users’. The DMCA was supposed to help protect against copyright infringement, but it’s been abused to interfere with all kinds of lawful activities that have nothing to do with infringement … Software is in all kinds of devices, from cars to coffee-makers to alarm clocks. If that software is locked down by DRM, it’s likely that you can’t tinker, repair, and re-use those objects without incurring legal risk. The EFF says that creating an exemption so these particular cases can be considered fair use wouldn’t be economically harmful, especially in the case of “abandoned” video games.